So I've been dealing with triceps/elbow issues, first reported here, which turned out to be tendinitis. 1. Rest. Not doing movements which aggravate this injury. In this case, no presses or jerks. Obviously that means no long cycle work either. Surprisingly, because the injury is essentially inflammation of the tendon tissue in the elbow, any movement that involves bending the elbow can also aggravate the tendons. That means I have to limit cleans and pull-ups as well. 2. Instituting an injury prevention program. Right now, that means a focus on range of motion (ROM) work, as well as stretching and other flexibility work. I am doing ROM work throughout the day at my desk, and as a warmup and cool down. You can find the foundation of the ROM and flexibility work I practice in Beyond Stretching: Russian Flexibility Breakthroughs by Pavel Tsatsouline. The material in this book was later divided into two of Pavel's later books, but I prefer this one. Pavel does not break down the concepts as simply or as user friendly as he does in his strength training primer Power to the People, but even though it is imperfect, it is the best book I have found on overall flexibility and range of motion. The ROM work is very similar to traditional Tai Chi warm ups, and the ROM exercises commonly practiced throughout Russia. As for "stretching", it's important to note that the best flexibility work incorporates a type of isometric strength training. This type of flexibility work not only strengthens muscles; it also causes a relaxation response that rapidly increases flexibility. Known as PNF stretching it was developed decades ago by Herman Kabat. In addition to ROM and PNF work, I've resumed a more expansive yoga practice. 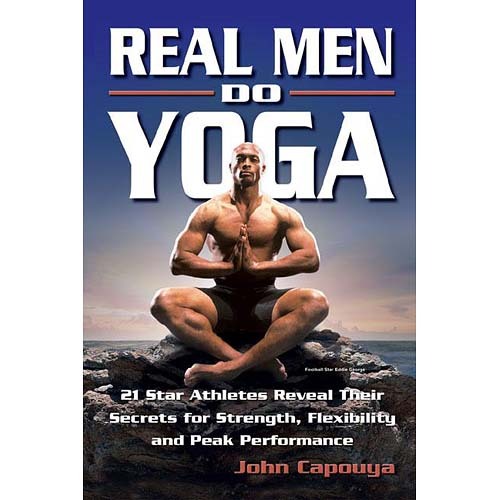 I've been a student of yoga since 1994, and was interviewed about my yoga practice for the 2003 book Real Men Do Yoga. 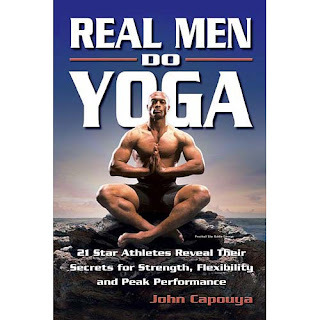 Author John Capouya also interviewed a number of pro athletes for the book (Eddie George is on the cover), and he wrote what I think is the most accessible introduction to yoga I've ever read, especially for men more accustomed to weight training and watching ESPN than new age type stuff. I think I was featured as the token "regular guy" among the famous types, and to show how yoga can reduce stress if you have a demanding job (I was in charge of prosecuting most of the child murders in Atlanta at the time). Like the PNF stretching, I rely on yoga for strengthening as much as I do flexibility. 3. The last prong of my rehab is maintaining conditioning. Like most injured athletes, I have been overly concerned about maintaining my sports conditioning while I allow my injuries to heal. This anxiety motivates many athletes to resume sports training before their bodies are ready, and results in re-injuries that are often worse than their initial problem. So part of this is simply giving the athlete a challenging workout to do so he won't hurt himself with a premature resumption of training. Another part of it is selecting an appropriate exercise plan to keep the person in good physical condition for health, irrespective of his athletic goals. American Kettlebell Sport trainer and coach Cate Imes suggested I try a circuit that included kettlebell swings and jumping rope. Kettlebell Sport athlete (and physician) Matt Schinabeck also recommended swings as a way to maintain the special endurance for kettlebell sport, and, reading the training diary on his blog, I see that he practices what he preaches. Based on their advice, I've combined kettlebell swings with jumping rope to make a challenging circuit. Basically I jump rope for one minute, do a one minute set of left handed swings, jump rope another minute, then complete a set of right handed swings without stopping. I complete this circuit 5 times for a total of 20 minutes. It sounds easy but its a good workout. If you are looking for a good jump rope, I highly recommend this one. 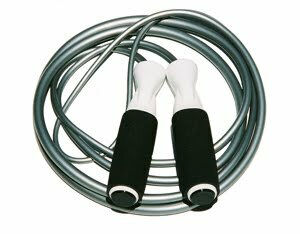 It's the most durable jump rope I've found, and it swings better than any of the ones I used when I was boxing. It comes in two lengths, including one specifically made for tall guys like me. I've had mine for close to 10 years now.